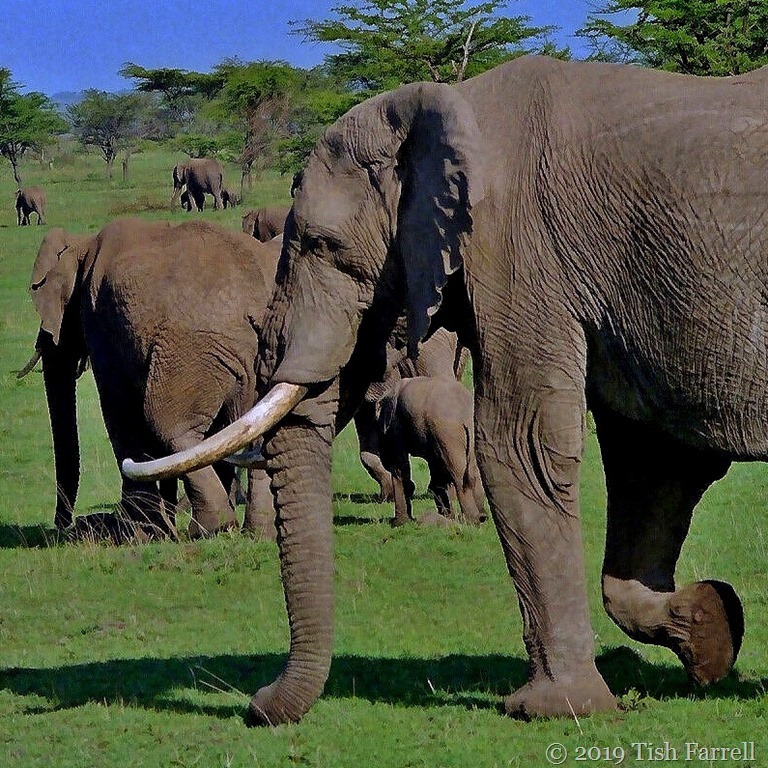 Posted on March 23, 2019 by Tish Farrell	This entry was posted in African wildlife and tagged #SpikySquares, elephants, Maasai Mara, Tish Farrell Writer. Bookmark the permalink. Very interesting. I reallly like elephants. They care for each other . I like elephants, too, and thanks for the link. Really looking forward to getting back to elephant country next year. Simply magnificent, gentle giants in the wild. The ‘zoo’ variety look sad! We sited what our guides described as 1,000 elephants migrating from A-B while in Botswana in 2014. A thousand eles. That view must be utterly etched in your memory, Woolly. Am already envying your return to Africa. It will be wonderful. It looks very green there. It looks like those beautiful elephants hardly make an imprint on the ground. They are surprisingly soft-footed and soundless foot wise, and actually walk on tip toes which, an African zoologist once explained to me, are supported on a big pad of fat. Amazing creatures all round. what majestic creatures . . . I am so enjoying your look back into your African archives. Can’t really miss with an ele shot, can you? Happy Sunday both. A beautiful photo, Tish! Love how you captured the young elegant between the nose and legs of the big one. A very happy capture, Amy. Thank you. My favorite animal I think. We didn’t see many of them in the Masi Mara three weeks ago but it could have been due to the season of the year. I think they gather in larger numbers during the rains which is usually also the mating season. But they are also very good at being invisible. Did you have a brilliant trip, Marie? I do hope so. The jolting and juddering certainly take its toll on the insides and outside come to that. Oh dear. We had that happen in other parts of Kenya when we were there.